If your goal is to build muscle and drop body fat, then you need to start eating right. For a lot of guys, that’s easier said than done. Here are 20 healthy, muscle-building foods that are a must for every fitness-minded guy’s grocery list. You’ve seen this meat on most muscle-building lists. That’s because red meat packs a protein punch, provides a source of saturated fat for your hormones, iron, and is also a natural source of creatine. Choose lean cuts of red meat like sirloin and round, and when possible buy organic, grass-fed meat. 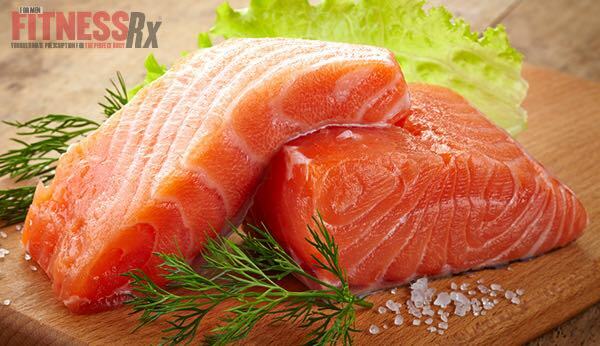 Salmon steak provides a great source of protein and good-for-you fats, including poly and monounsaturated fats. Per 100 g, Salmon provides 20 g of protein, 10 g of healthy fats, and a dose of both energizing Vitamin B6 and B12. Buy fresh whenever possible, but frozen is a good alternative too. Egg whites are great, but when you cut out the yolk you miss out on significant source of vitamins, including Vitamin B6, B12 and testosterone-boosting Vitamin D. Buy Organic Free Range Eggs, which means the chickens laying these eggs have not been feed genetically modified feed from soy or corn. Skip over the non-stick cooking spray and reach for the coconut oil instead. Coconut oil delivers 14 g of fat per tablespoon. Even though a lot of that fat is saturated, coconut oil is also a source of MCTs (medium chain triglycerides) that can be used as a quick source of energy over other nutrients like carbs. Buy organic, virgin coconut oil, which has not undergone significant processing. A healthy source of monounsaturated fats, avocado makes a great side to your eggs, or meat. It can also be used as a thickener and whipped up in your favorite protein shake. 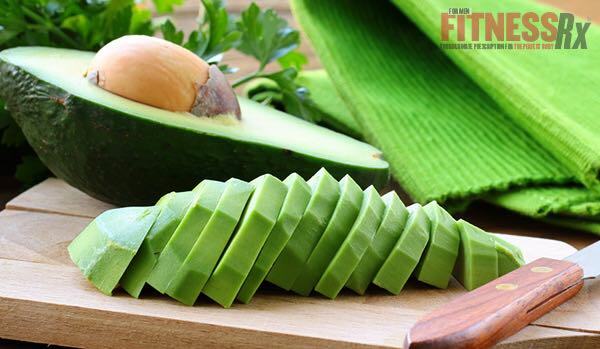 A ¼ cup of avocado will provide 8.5 g of fat, 5 g of carbs, of which 4 g is dietary fiber. Use this Mediterranean oil on salads, or use it to cook with. Olive oil is high in monounsaturated fats, and contains compounds that have been shown to help lower cholesterol and help reduce inflammatory compounds. Buy extra virgin olive oil, which is considered the highest and purest grade of olive oil. If you’re tired of peanut butter, or almond butter, cashew butter is a great alternative. In 2 tablespoons you get 12 g of fat, 7 of which is monounsaturated, 5 g of protein, and 9 g of carbs. Plus, cashew butter is high in the muscle mineral magnesium. Choose from raw or roasted. Plain, natural non-fat Greek yogurt, is high in dairy protein, providing 18 g per serving and just 5 g of carbs. Greek yogurt is strained yogurt, which means it’s made from mostly whey. Skip over the fruit-on-the-bottom yogurt and stick with the plain variety. Add whey protein powder, fruit, or nuts. Unlike yogurt, cottage cheese is made from the curds portion of dairy milk. 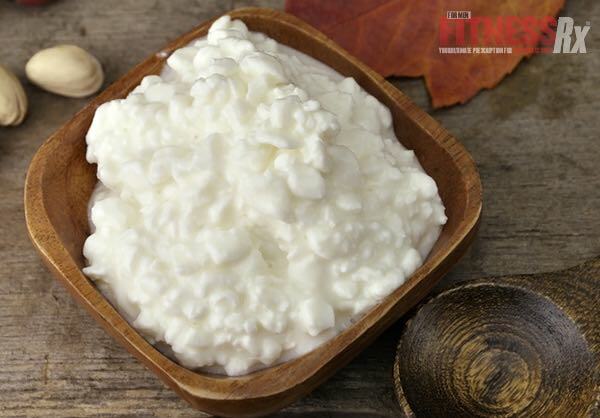 These curds provide the dairy protein casein, which is extremely slow digesting, making cottage cheese perfect as a nighttime snack for recovery. Stick to non-fat or low fat cottage cheese. Full of antioxidants including beta-carotene and vitamin A, sweet potatoes are high in fiber and rank low on the glycemic index. A single sweet potato provides 26 g of carbs, 4 g of fiber and only 5 g of sugar! Buy them in bulk – since they are a root vegetable they can stay good for about 1 month if kept in a cool dark place. Tired of rice? Try quinoa. This whole grain can be made quickly using a rice cooker. Quinoa is high in fiber, and even protein. Choose from red or white varieties. Oats provide a source of energizing slow-digesting carbs. One ¼ cup dry provides 30 g of carbs and 5 g of fiber. Steel cut oats are oats that are not cut as finely as regular oats, they are cut into pieces using a steel buhr mill. This type of processing means the oats digest a bit slower versus the regular version. This leafy, cruciferous green is full of fiber and offers up a multitude of health benefits. It also provides a source of DIM – an anti-estrogen fighting compound that can help reduce excess estrogen and help re-balance hormone levels. Choose from multiple varieties including curly, red, or green. 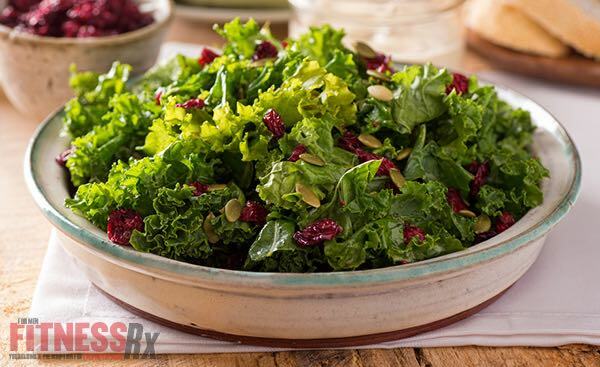 Add fresh chopped kale to salads or stir-fries. Part of the cabbage family along with kale, broccoli is high in antioxidants and fiber. This veggie is a good source of roughage that can help cleanse and detoxify the colon and intestines. Eat broccoli raw or steamed. Need some spice to your diet? Try hot sauce, which is virtually calorie free, salty and of course spicy! 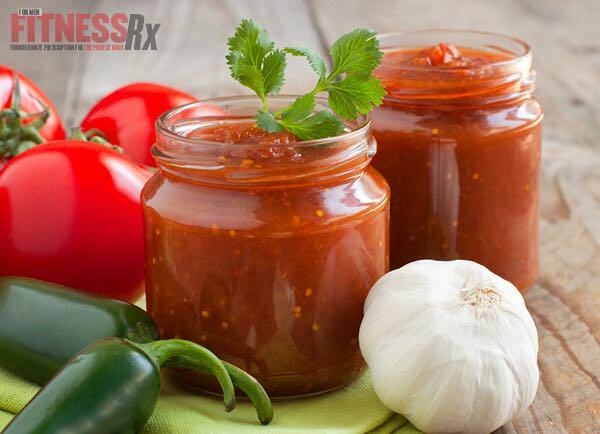 Hot sauce is the perfect condiment when it comes to sticking to a diet plan. Instead of ketchup, try salsa. Choose from medium, hot or mild – just be sure to read the nutrition panel first and to pick brands that don’t add extra sugar and are made from natural and organic ingredients. High in vitamin C and polyphenol antioxidants including anthocyanin, blueberries are a great fruit for shakes, yogurt or an addition to your morning breakfast bowl. Just 1 cup provides 85 calories, 21 g of carbs and 4 g of fiber. High in soluble fiber, apples absorb water as they are digested. Apples are high in antioxidant flavonoids including quercetin and vitamin C. Choose from numerous varieties; eat on their own or in your oatmeal. Switch up your milk for this tasty delight instead. This fusion of almonds and coconut is tantalizing on the taste buds. Buy the unsweetened variety and use it in coffee or shakes. These morsels can be munched on as a healthy snack. 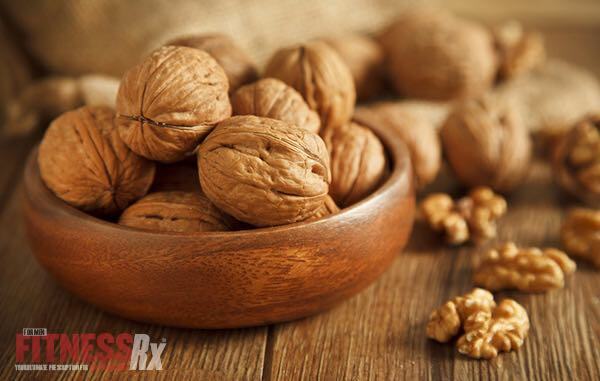 Unlike other nuts, walnuts are very high in polyunsaturated fats, providing 13 g per just one ounce serving.